Joe is a holistic and deep tissue massage therapist. 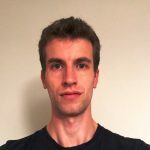 He has been practicing massage since 2008 and has worked with some of the finest spas in and around London as well as working in clinics, and seeing clients privately. Joe has also worked within the health and fitness industry for many years working within many different roles including fitness instructing, personal training, circuit class instructing and power plate instructing. With his current skills, Joe has worked with thousands of individuals on improving their movement, posture, energy levels, muscular pain, diet, and health in general. Please call 0208 549 8000 to make an appointment with Joe.